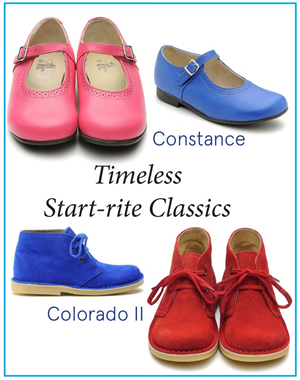 You can buy Start-rite shoes online or in your favourite shoe shop. My local Start-rite shoe shop is Thumbelina, High Street, Tenterden, owned by Kelly McLaughlin who is an extremely energetic young woman who is passionate about "all things children". Thumbelina is described locally as an Aladdin's Cave; shoes, toys, games and more.